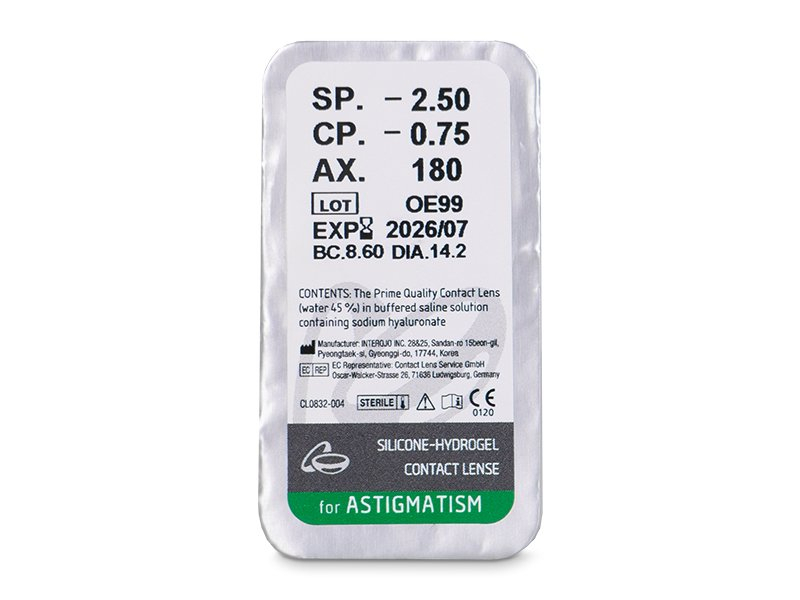 TopVue Air for Astigmatism are toric, silicone-hydrogel contact lenses. Their advanced design ensures optimal stabilisation of the lens on the eyeball for sharp vision and maximum comfort. This package contains six lenses. 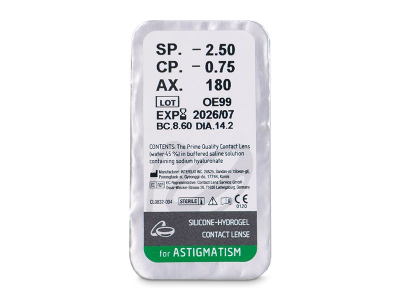 TopVue Air for Astigmatism are innovative toric contact lenses made from an advanced silicone-hydrogel material. 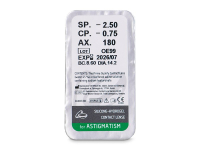 TopVue Air for Astigmatism are characterised by their high oxygen permeability and water content. Both of these features help ensure comfort and clarity of vision. The progressive design of TopVueAir for Astigmatism ensures stable positioning of the lenses on the eyes for perfect vision throughout the day. This package contains six lenses. Read more about Topvue Air for Astigmatism. I'm a big fan of these lenses. 10% off for Christmas was much appreciated.